Cornwall Council’s Environmental Services (HES) unit has been contracted by the St Piran’s Trust to begin the process of uncovering St Piran’s Oratory in Penhale Sands, near Perranporth. The contract is the accumulation of ten years of campaigning by the Trust to get Cornwall Council to agree to begin the process of uncovering the Oratory, which is thought to be the oldest Christian four-walled building in the UK and dates back to the fifth Century and a possible resting place of the saint himself. The Trust announced yesterday that the HES had been contracted and that even though there are still permissions and consents to gain they are closer to achieving their goal that “at any time in the last ten years”. In uncovering the Oratory it is hoped that new information will be shed on the final resting place of St Piran, who is the national saint of Cornwall. In 2011 the Trust received a grant from the Heritage Lottery Fund to begin an excavation of the site, which was previously undertaken in 1835 and 1843, but the remains of the site were later encased in concrete in 1910 to protect them from the shifting sands. During the early excavations a number of skeletal remains were reported to have been found, including that of a headless skeleton of an unusually large stature. 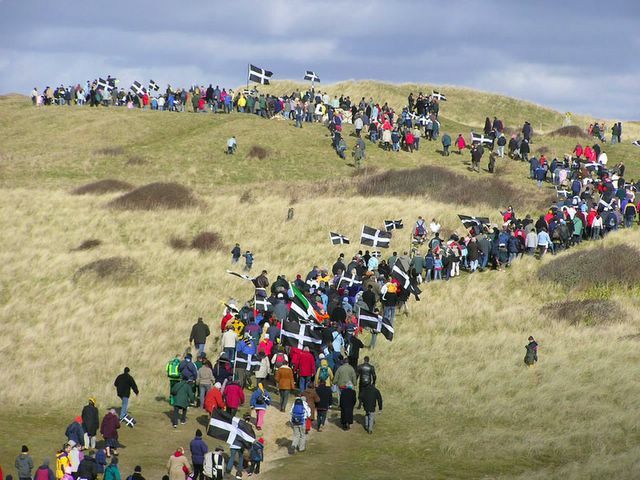 St Piran himself, who is thought to have sailed across the sea on a mill stone from Ireland, was known to have been a large man.